It "will really blow our minds." Although originally established 50 years ago to spearhead military research and development, the Defense Advanced Research Projects Agency (DARPA) has been the creative force behind many things civilians now take for granted, such as the internet and GPS, and for the past three years, DARPA has been busy working on other types of projects that could also have major repercussions beyond the battlefield. In April 2014, DARPA established the Biological Technologies Office (BTO) with a mission to “harness the power of biological systems” to help design defense technology. Although the agency was already involved in research at the intersection of biology and engineering, with the establishment of the BTO, DARPA’s biological work found a dedicated home. With a budget of about $296 million last year, researchers at the BTO have been doing work in areas such as memory improvement, human-machine symbiosis, and how to speed up disease detection and response. In a recent interview with Scientific American, BTO chief Justin Sanchez said he hopes to see the fruits of the office’s labor soon and shared details on what we can expect for 2017. Still other projects are on their way for 2017, including ones focused on what Sanchez calls “Outpacing Infectious Disease,” which has been pioneering new work in DNA and RNA approaches to immunization. “The idea is that you can tell your cells that produce antibodies what the right code is for producing the antibodies that would be effective against a pathogen,” Sanchez explained. 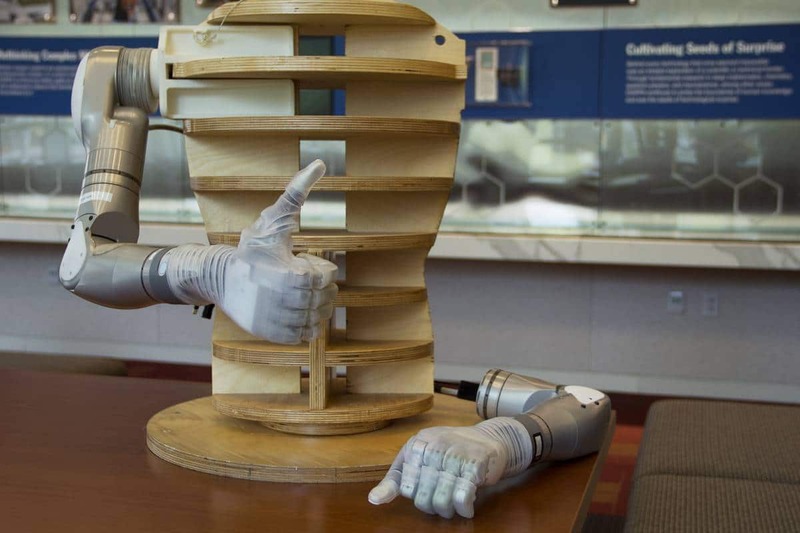 It’s something DARPA hopes to make important announcements on this year. Then there are the Luke prosthetic arms with the obviously “Star Wars”-inspired name. Recently, DARPA delivered the first two commercially available Lukes to the Walter Reed National Military Medical Center. This project sets the foundation for developing a “wide variety of devices that can be controlled via neural activity,” says Sanchez. Specifically, the BTO is exploring cognitive assistance. Speaking of the brain, the BTO under Sanchez has also been dedicating significant resources to supporting President Obama’s BRAIN initiative. “Neurotechnology is a very big area in our office. We have made great strides on the medical side of things, showing direct neural interfaces can restore movement, sensation and health with neuropsychiatric disorders,” he explains. Included in this work is a “biochronicity” program that seeks to understand the role of time in biological functions.